Author: Konstantinov N.A., Soenov V.I. 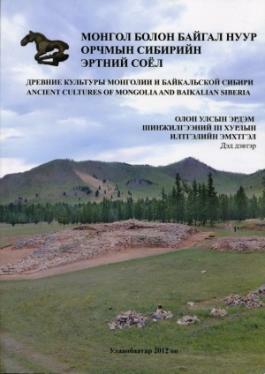 This article in Russian with English summary is published in: Drevnie kultury Mongolii i Baikalsakoi Sibiri [Ancient cultures of Mongolia and Baikalian Siberia]. Issue 3. Ulan-Bator: 2012. Vol.2. P.374-381.